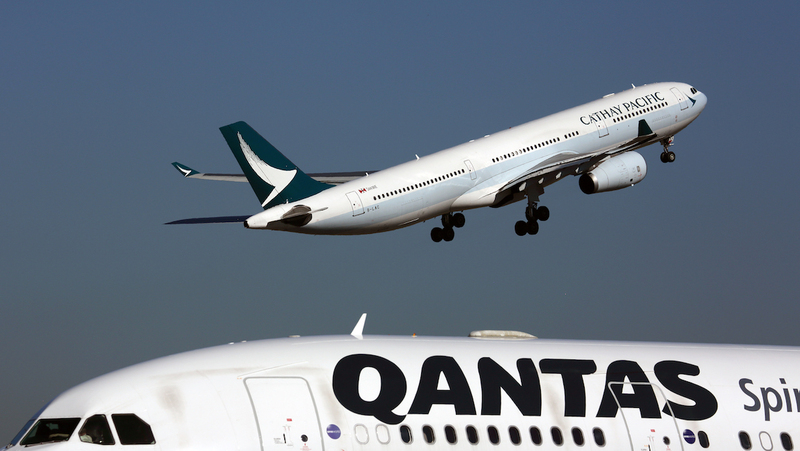 Australia’s competition watchdog and Virgin Australia have argued a proposed codeshare agreement between Cathay Pacific and Qantas would lead to a lessening of competition on Australia-Hong Kong routes. The Australian Competition and Consumer Commission (ACCC) has written to the International Air Services Commission (IASC) with concerns about allowing the two largest carriers on the Australia-Hong Kong route to codeshare on each other’s services. “While it is a decision for the IASC to make, our main competition concern is that the conduct may soften competition in the Australia-Hong Kong air passengers services market,” the ACCC submission said. Qantas has sought regulatory approval to add it QF airline code on 35 Cathay Pacific-operated flights a week from Brisbane, Melbourne and Sydney to Hong Kong. Meanwhile, Cathay Pacific would add its CX airline code on 35 Qantas-operated services a week on those three trunk routes. The codeshare flights on these routes would only be sold as part of a through journey involving connections either beyond Hong Kong on Cathay Pacific or to other Australian domestic destinations from Brisbane, Melbourne and Sydney on Qantas. 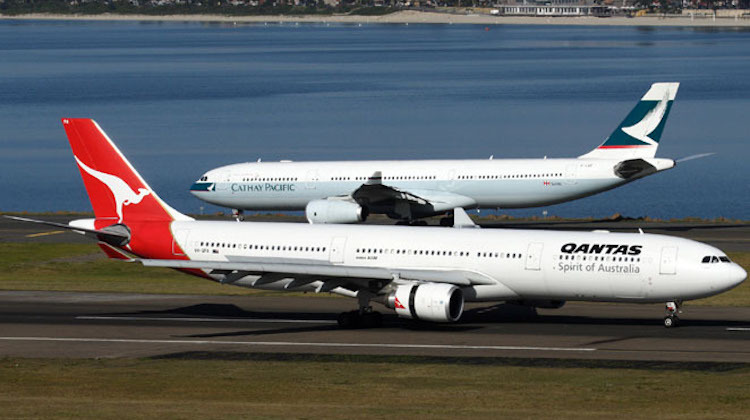 The ACCC said allowing the codeshare could make it easier for Cathay Pacific and Qantas to coordinate their price and capacity decisions to raise prices or reduce service for Australia-Hong Kong passengers with Australian domestic connections or beyond Hong Kong to destinations in Asia. “For example, this may include delaying the deployment of additional capacity between Australia and Hong Kong,” the ACCC said. Further, the competition regulator said determining whether there was competitive harm would depend on factors such as the importance of connecting passengers on Cathay Pacific and Qantas’s Australia-Hong Kong flights and the extent to which Virgin Australia would respond to the codeshare agreement. Under an agreement that was struck in the second half of calendar 2018, Cathay Pacific already sells codeshare services on flights operated by Qantas in the Australian domestic market, while Qantas sells itineraries that include a Cathay Pacific-operated flight beyond Hong Kong to number of countries in Asia, as well as Cathay’s Perth-Hong Kong and Cairns-Hong Kong. In December 2018, Qantas applied to the IASC to expand the codesharing to include each other’s flights from Brisbane, Melbourne and Sydney to Hong Kong, as well as add its QF airline code on additional Cathay Pacific-operated flights to Asian points in Myanmar, Sri Lanka and Vietnam. Qantas said the move would “not substantially lessen competition on any relevant market”. Rather, it was a “pro-competitive expansion of each carrier’s ability to sell and market itineraries”. 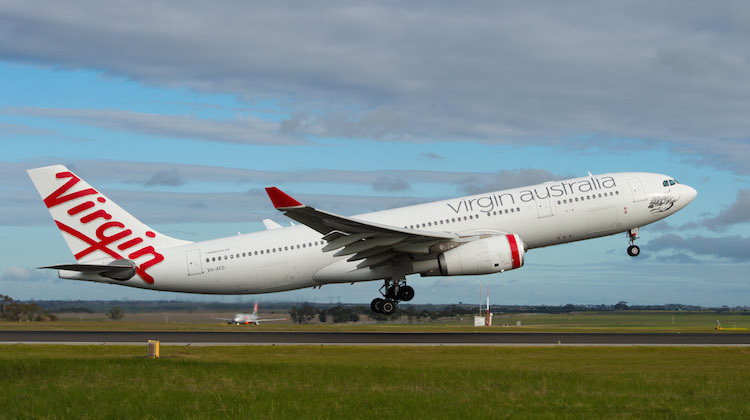 Virgin Australia, which told the IASC in early February that it had significant concerns with the codeshare, said in its latest submission the application should be rejected. Further, it said some of the pro-consumer benefits that Qantas outlined in its submission, such as the additional codeshares on Cathay Pacific-operated flights beyond Hong Kong to Asia, did not require IASC approval. “It is important to note that the variation requested by Qantas is not required to give effect to such itineraries and relates solely to flights operated by Qantas on sectors which Cathay Pacific operates in parallel,” Virgin Australia said. Figures in the Virgin Australia submission showed Cathay Pacific and Qantas held a combined 92 per cent passenger share between Australia and Hong Kong. “While the proposed cooperation will deliver marginal benefits for consumers, it will undoubtedly increase the individual and collective market power of the two carriers, at the expense of Virgin Australia as the only other competitor on the route,” Virgin Australia said. Virgin Australia started flying to Hong Kong in July 2017, when it began nonstop flights from Melbourne to the Special Administrative Region (SAR). Sydney-Hong Kong flights followed a year later. Qantas chief executive Alan Joyce said recently his airline and Cathay Pacific would remain vigorous competitors even with the expanded codeshare agreement in place. “We still compete very vigorously over the Hong Kong market, we are competitors on it and we fight for every passenger,” Joyce told reporters at the company’s 2018/19 first half results presentation on February 21. “But there is complaints about you know everything that we’re doing with partners at the moment, whether it’s Cathay, Air New Zealand, other codeshare agreements and there is a little sour grapes coming into it, I think. TBT – ‘V’ictory in the Pacific? Some more common sense from the ACCC, this proposal make a zero competitive argument to the practical logical person, when the two combined already hold 92% of a market, it’s purely predatory. Quite a strange proposal considering the historical glacial relationship between QF and CX though somewhat softened in the last year and now to outright BFF. Approval will certainly raise eyebrows and fares. If they really want it so much get them to divest a daily slot on each side so that Virgin and Hong Kong airlines can start a decent codeshare in competition. Any news on the QF-AA JBA it’s almost been 3 months since the last information and no comments about it at the recent QF HY results? TBH I was surprised that the first submission was rejected, certainly makes no sense to expand flights into ORD and DFW without an AA codeshare. QF metal to Seattle may be a goer with an AS codeshare in place. Canada is a prime example of the minefield that IASC has to tread when considering submissions, WS and DL have a comprehensive codeshare for tranborder traffic with an ATI submission under consideration, WS codeshares on QF transpacific flights and DL/Virgin Australia have an ATI on transpacific flights.